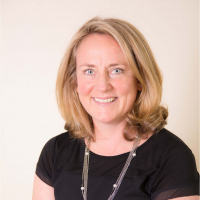 My name is Clare Beavan and I am a fully qualified Cognitive Behavioural Therapist and EMDR (Eye Movement, Desensitization and Reprocessing) Therapist. I work in Leeds, Harrogate and Wetherby. Cognitive Behavioural Therapy (CBT) is a recognised therapy by the National Institute for Health and Clinical Excellence (NICE) as being effective for the treatment of anxiety, depression and trauma. Eye Movement Reprocessing and Desnsitization is recommended for the treatment of many anxiety disorders and trauma. I work with people who find themselves experiencing too much of emotions such as anxiety, worry, feelings of irritability, low mood that impacts on theirs lives and wellbeing. Together, we would explore the relationship between your thoughts, emotions and behaviours. It will help us to have a shared understanding of how those difficulties are being maintained and it will direct us to creating and developing relevant strategies that will help you to feel that you are overcoming the problem and become more in control of daily life. My aim is for you to become your own therapist so that you can continue to use the skills if or when you need them and be able to flourish. I have an interest in Compassion Focused work, which enhances CBT and EMDR practice and can be interweaved into therapy as and where identified. I have full accreditation with the British Association of Behavioural and Cognitive Psychotherapists (BABCP). This means that I have had full comprehensive post-graduate training in CBT and that I must continue to demonstrate my competency to the highest standard by demonstrating to the BABCP that I engage in regular supervision and keep up to date with evidence-based research and application of skills and techniques.